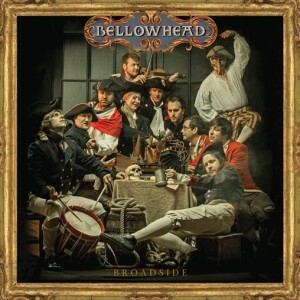 Bellowhead’s brand new album ‘Broadside’ is due for release on the 15th October via Navigator Records. Broadside is a positive spectacular, taking some of the wildest, most joyous and iconic songs in the richly colourful canon of the folk song tradition… and turning them upside down and inside out with the unique sense of drama and theatre, instrumental virtuosity, verve, humour and blind cheek that has seen them spearhead the new folk boom. 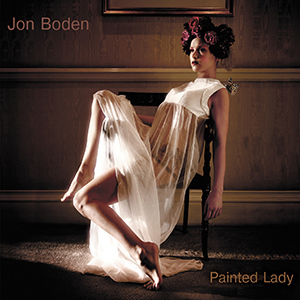 Their third album Hedonism was the highest-selling independently released traditional folk album of all time, yet the new one Broadside (a title that rather cunningly melds an early form of printed song sharing with an appropriate nautical reference to firepower) is surely set to eclipse it with its thrilling arrangements and non-stop party spirit. 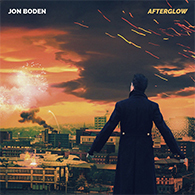 Like Hedonism, Broadside is produced by the great John Leckie, who has previously done wonderful things with the Stone Roses and Radiohead; and he’s now effectively captured all the explosiveness that has established Bellowhead’s undisputed reputation as one of the planet’s most exciting live bands and replicated it in the studio. In this case that studio is Rockfield, where Freddie Mercury once held court. Indeed, at one point the massed vocals even evoke Bohemian Rhapsody and Freddie would surely have identified with the electrifying dynamism and sense of fun conjured up by this very special band. A couple of the tracks are based on songs that initially found common currency in the form of those printed broadsides – the gruesome romp Black Beetle Pies for one and the spooky ballad The Wife Of Usher’s Well – all death, ghosts and “earthly flesh and blood” – for another. Weirdness also abounds with Betsy Baker, a vigorous tale of unrequited love, while some of the most venerated songs of the folk revival – Northumbrian mining song Byker Hill, the Copper Family classic Thousands Or More, the rocking sea shanty Go My Way and The Old Dun Cow – the knockabout tale of being trapped inside a burning pub – are revived in startling ways. They may be familiar, but they’ve never sounded like this before. There’s even an irresistibly bonkers take on Lillibulero, a satirical song set to a tune attributed to Henry Purcell, on which the band flex their considerable muscles and gleefully explore their seemingly bottomless box of magic tricks, emerging with storming vocals, blitzing percussion, rampaging strings and mad, bad brass. Broadside, their fourth album, writes another extraordinary chapter in the story of Bellowhead, which began in 2004 when a disparate group of characters who initially knew one another from informal pub sessions thought it might be a good wheeze to pool their widely varied backgrounds, influences and talents and form a big band… just to see what happened. Even they couldn’t have imagined the results as their funny little enterprise -incorporating top-notch jazz, world, folk and classical musicians in a swathe of brass, strings, squeezebox, percussion and anything else that seemed like a good idea at the time – swiftly expanded into a gung-ho 11-piece line-up. Four albums, a glut of awards, sell-out tours and a long trail of thunderous festival appearances down the line, they’ve transported folk music into hitherto unknown territory, introducing a whole new audience to it with them. “The greatest live act in Britain,” says BBC Radio 2’s Simon Mayo. “One of the best live bands in the UK…or anywhere,” says Jeremy Vine. And the hordes of dancing fans grinning and singing along and treating every gig as a party clearly agree. That party gains even more momentum with Broadside for, while some of the songs may appear graphic and brutal, this is above all, an album driven by a lust for life. 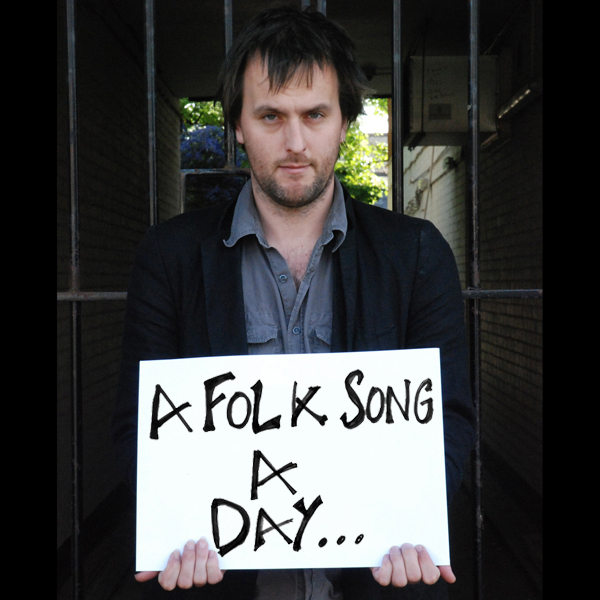 And that’s a subject close to the heart of Bellowhead. The album will be accompanied by the band’s biggest ever UK tour (6th – 24th Nov), visit www.gigantic.com for tickets. This entry was posted on Sunday, August 24th, 2014 at 9:24 am and is filed under News. You can follow any responses to this entry through the RSS 2.0 feed. You can leave a response, or trackback from your own site. Already ordered at Propermusic. Looking forward to it very much – it sounds good.